Before my 10-day Iceland adventure, I did a ton of research in forums and on travel websites and blogs to find out what I really needed to know. It turns out that much of what I read turned out to be completely untrue! In most cases, the misinformation was simply outdated. Since Iceland’s tourism boom has continued with no end in sight, things have changed. New roads have been paved, new gas stations and grocery stores have been built, more cars are on the road. But there were a few times where the information posted online was just flat-out wrong. So to clear up any confusion for future Iceland travelers, here’s a recap of some of the false facts I was fed before my own visit. Myth: The Ring Road is entirely paved. It’s mostly paved. More than 99%. But there were still two small sections in eastern Iceland (as of September 2017) that were gravel, and another in the north in a construction area that was gravel. These three areas totaled no more than 10 miles combined. But they can still be a shock when you’re not expecting them. 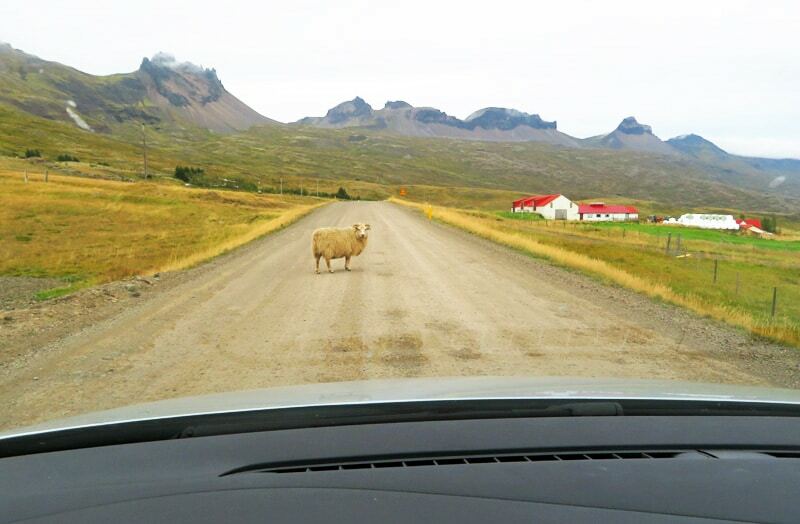 An unpaved portion of the Ring Road, with a stubborn sheep who refused to move. When I reached the first portion of gravel on the Ring Road, I started to wonder if I’d missed a turn. Since this part of Iceland has no cell service, that made things even worse. I had to pull over and frantically search through printed maps and Google Maps screenshots I had saved to see if we had somehow gotten off track. Shame on all those folks for saying the entire Ring Road was paved! You sent me into unnecessary panic! Myth: Food in Iceland is expensive. Restaurants are crazy expensive in Iceland – almost any meal will run you at least $20 USD. But there are other ways to feed yourself. Start with the grocery store. 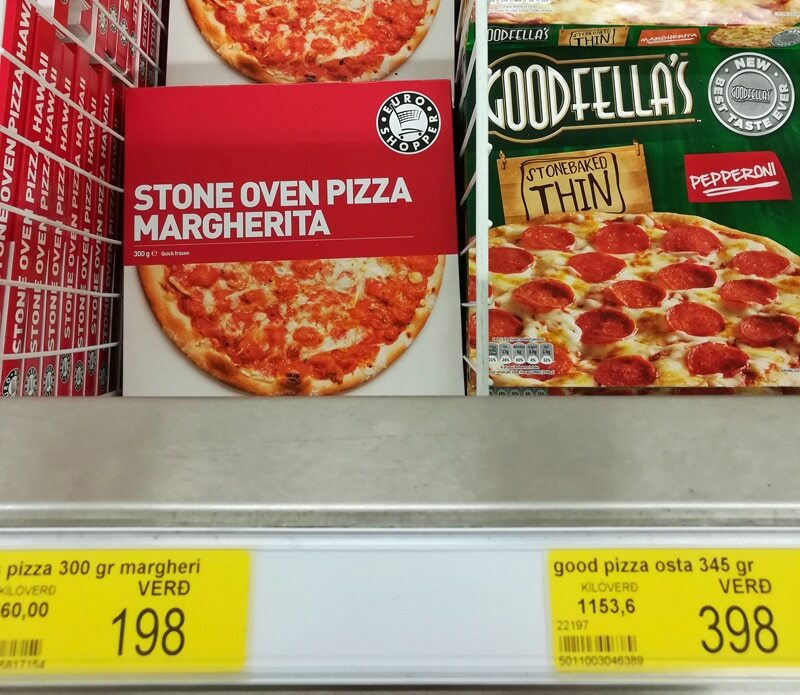 I’d heard that groceries in Iceland were expensive too, but this was not the case if you were a smart shopper. Certain products were more pricey (at one store I saw a pint of Ben & Jerry’s for $18.99! ), but lots of others were exactly the same cost as in the US. At Bonus grocery store (think of it as the Aldi of Iceland), peanut butter, jelly, chips, candy, bread… these were all on par with American prices. We found frozen pizza for $2, large bags of chips for $2, jars of salsa for $2. So you can stock up your vehicle with snacks and meals, and eat those as you circle the Ring Road to stay on budget. Fast food is another option for sub-$10 meals. Most fast food spots are in the Reykjavik area, but Subway has a couple of surprisingly remote locations, one way east in Egilsstadir, and one way north in Akureyri. The Subway footlong was about $14 here, which works out to $7/meal if you split it between lunch and dinner – still a decent deal. 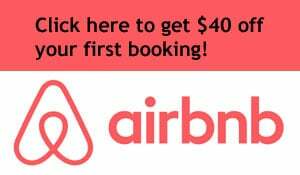 To counteract this myth, I’ve put together an entire article on how to eat affordably while traveling in Iceland. Myth: You must refill your gas tank everywhere, because it’s hard to find gas stations between cities. This may have been true years ago, but not anymore. Every small town has a gas station. Some stations are even located between towns. They’re all over the place. Rental cars are especially good on gas mileage, so you will find that you rarely need to stop for a fill up. There is nowhere on the Ring Road where you need to bother topping off your tank when you’re 3/4 full. Don’t worry about following that outdated piece of advice. Myth: You can drive for miles and miles without seeing anybody on the Ring Road. We visited in mid-September, not exactly peak tourist time, and we saw cars everywhere, all the time. Going even 60 seconds without passing another vehicle was extraordinarily rare during the entire drive around the island. Pulling over at a scenic spot. I believe there was one instance in the more remote eastern section of the country where we made it a full five minutes without passing a car, but that was it. Tourism in Iceland has exploded beyond belief. 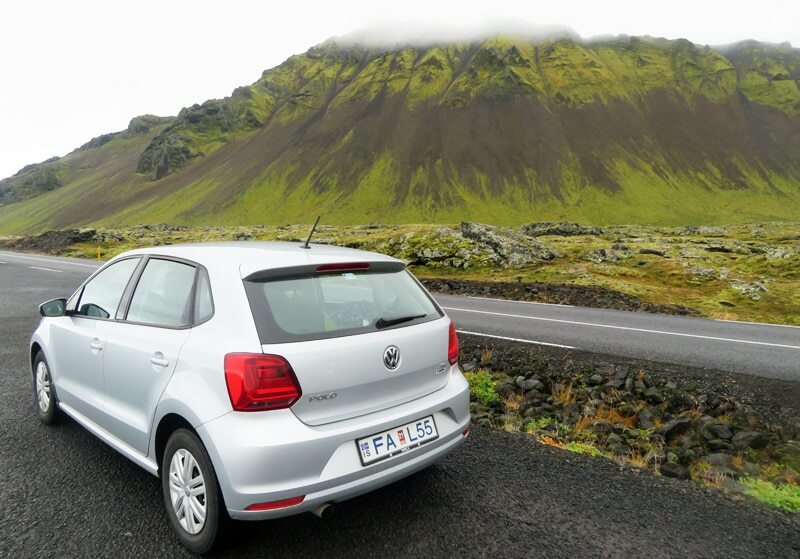 Anyone telling you that the Ring Road is a quiet drive hasn’t visited Iceland recently. Myth: Icelandic hot dogs and Skyr are tasty. Yuk! Obviously taste is subjective, so your mileage may vary on this one. I kept reading that Icelandic hot dogs were amazing, and the local drink Skyr (basically liquid yogurt) was one of the best snacks in the country. I despised both. The hot dog had this off-putting chewy casing around it. If you’re the type of person who doesn’t mind hot dog casings, then maybe you’ll be fine. I can’t stand them. 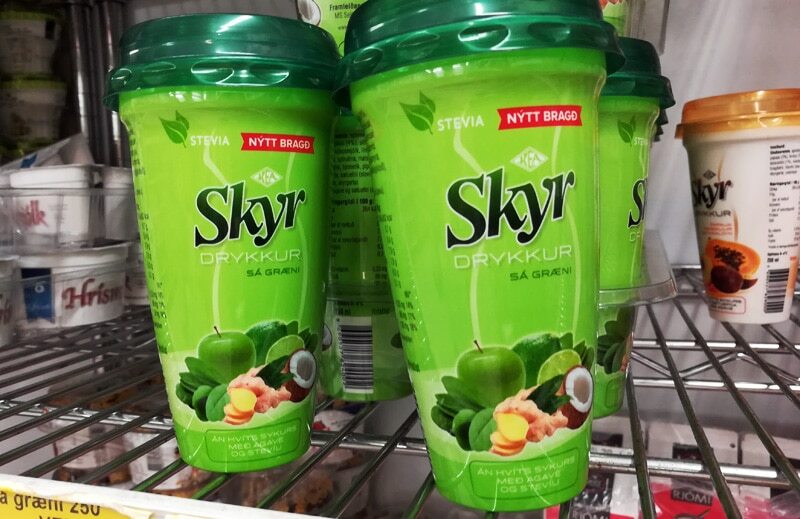 And the Skyr tasted like flavored creamy milk, with the added drawback of the horrible acidic cultured yogurt flavor. No thanks! I would eat fermented shark again before I would give Skyr another try. For reals. Myth: It’s difficult to find the site of the DC-3 plane crash wreckage. The parking lot at the DC-3 plane crash site. This is another outdated tip. The remains of the American plane from the famous 1973 crash used to be difficult to find and required punching in specific coordinates on Google Maps. 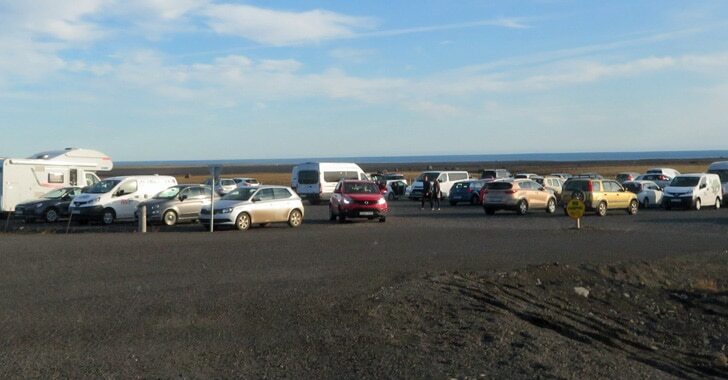 But now, there’s a big parking lot right at the site on the Ring Road, so just look for the cars and the steady stream of people walking down towards the beach. 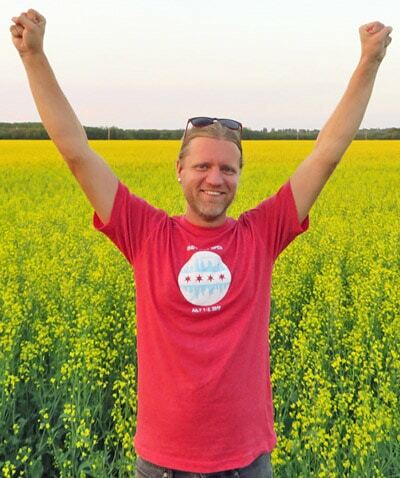 Don’t fret about needing to know exact longitude and latitude numbers! Myth: You can touch two tectonic plates at once in Thingvellir National Park. If you’ve researched Iceland, you’ve seen the pictures of people walking in a narrow space between two walls of rock, or diving in a fissure and touching two rock walls. It looks like these folks are literally in a tiny, narrow gap between the North American and Eurasian continental plates, which converge in this region of the island. 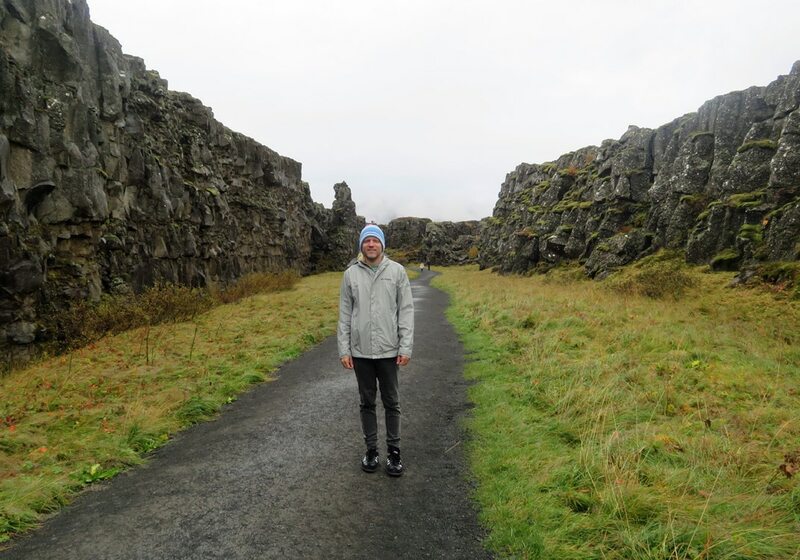 Standing between continental plates in Thingvellir Ntl Park… sort of. But not really. This was my number one reason for visiting Thingvellir National Park. The chance to touch two tectonic plates at once seemed like a once in a lifetime opportunity! Imagine my disappointment when the Thingvellir park ranger told me this was a myth, and that the plates are in fact 20km apart in most places, and that many of the diving companies in particular have been misleading their guests to make them believe they can touch both continental plates at once. They tell you that you’re diving “between the plates,” which is technically true, in much the same way that if I’m walking in downtown Chicago, I’m walking “between Indiana and Iowa.” The geography of Thingvellir is still amazing… just don’t expect to touch two plates at once.